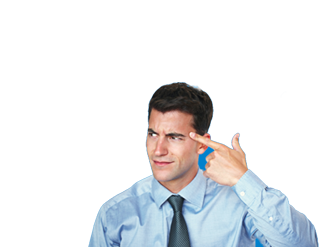 So you have decided that an IP PBX telephone system is the way to go? Then let’s find you the best one out there. It might be the Siemens Hipath 3550, so let’s take a look. Siemens is a name that you are sure to recognise. This giant company has been in operation since 1847 and now focuses on generation and use of electricity. The company has 337,000 employees operating in over 200 countries, with revenue of 82 Billion € in 2017. They build the Hipath IP PBX system, but you will have installation through a local partner or vendor. 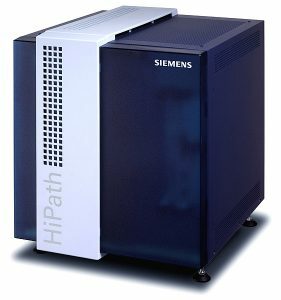 Is the Siemens Hipath 3550 the right system for me? What is the best way to buy one? How does the Siemens Hipath 3550 compare to other options? The Siemens Hipath 3550 system combines Voice over Internet Protocol (VoIP) technology with the utility of an in-house PBX or switchboard. This modular system is centred around the wall mountable 3550 unit that receives all incoming calls and acts as the exchange to transfer calls to and between your separate office lines. Provides you with at least 44 phone extensions, and up to 156 depending on the combinations of phone line types you need. Configure your system in a way that suits your needs with ISDN2e, ISDN30e and analogue lines. Your telephone and specific computer applications can interact through the CSTA interface. The CTI Tapi Interface can be used by call centres to coordinate telephone and computer systems. Remote maintenance capability for quicker troubleshooting. Voicemail interface will work with both digital and analogue systems. The hardware is supported by HiPath ComScendo software. Siemens also offers a range of telephone handsets to use with the system. Depending on your needs you might choose wired merely handsets, or handsets that have a display, accommodate headsets and speakerphone functions. This system will suit a small to medium-sized company. It is also a great option if your organisation is likely to grow in the next few years. This product is customisable, so you can add more lines or extras to it as you grow. This product is available to be purchased new online for £2,100 plus VAT. Some sellers also offer used and refurbished units online for £100-200 plus VAT. The Siemens Hipath 3550 is customisable, and additional features will cost extra. You also need to consider whether you will need to buy new handsets, as these will add to your total cost too. One option is to pick and choose which pieces of the system will suit your business best and buy them online. This might be cheaper if you know what you need and have in-house technical support to set up and maintain your system. Another option is to work with a telecommunications specialist company to design the setup that will work best for your business. You can then buy and have the system installed directly by them. They can provide options for just purchase and installation, or possibly offer an ongoing maintenance contract. The Siemens Hipath 3550 is a great IP PBX option, as it straddles the middle ground between traditional internet-based telephone systems. Good for Small businesses just starting out. You can set up a few phone lines without much cost or difficulty. Small to medium-sized companies that need some additional features to call management and the option to expand. Any sized company with many people working remotely or through mobile phones, in locations with good internet service.